Like many spoken-word artists turned rappers, Dessa makes music that can’t be easily pegged as hip hop. Instead, A Badly Broken Code has a wintry, quiet tone reminiscent of mid-90s trip-hop, and she spends more time spinning free verse in a sing-song voice than flipping rhymes. (“Crew,” a tribute to her Doomtree crew, is a notable exception.) Her songs, mostly about friendships, romance and introspection can seem precious at times, but she has a wry sensibility that keeps them from becoming self-indulgent. 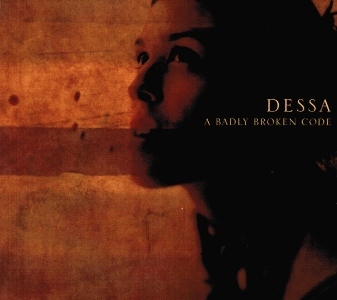 A Badly Broken Code isn’t an album to listen to while washing the dishes, but if you have an hour to spare, Dessa can entertain you with a few personal stories. This entry was posted in Reviews, Short Cuts and tagged Dessa, Doomtree, Rhapsody. Bookmark the permalink.